Miami – Following the dismissal of Liverpool manager, Brendan Rodgers, on Sunday, the British press announced two possible replacements to coach the Premier League club: German Jürgen Klopp and Italian Carlo Ancelotti. Liverpool owners sacked Brendan Rodgers following a series of bad performances. His last game was at Goodison Park on Sunday, where Liverpool faced Everton (1-1). A match in which the ‘Reds’ did not shine. During his time at Liverpool, the Irishman was unable to take the team any higher than a 52% victory rate. 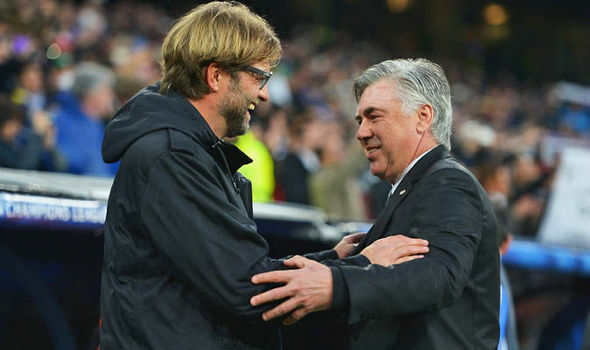 Amidst speculation of the media and several possible names in the running for the British club’s bench, Sky Sports commentators and former Liverpool players gave their opinions on former Borussia Dortmund manager Klopp and former Real Madrid boss Ancelotti. “Liverpool needs someone with energy, someone who can lead the team where it deserves. No need to talk about titles, but to come back and finish the season among the top four. I think Jürgen Klopp is the right man,” insisted the sports pundit. Meanwhile, according to former ‘Reds’ captain Scottish Graeme Souness, the Italian coach would be a better match for the club. “If you analyze it logically, the last three jobs Ancelotti had were at Chelsea, PSG and Real Madrid. In these teams you can sign the best players in the world, you have more economic power than any other,” emphasized Souness.